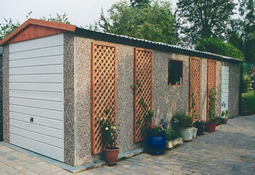 Why not turn your Garage or shed into a useful workshop? It is important to install electrics safely into a garage as these locations are often some distance from the house, just running a wire from the back of a socket is not the way to do it. The voltage may be affected by the distance away from the supply and additional protection is required.